•	Toys R Us customers will want to sign up for the free Rewards R Us program ASAP. Members receive points on all purchases that unlock savings on future orders, but also get great discounts and special deals that aren’t made available elsewhere. •	Coupon codes can be found all over the site, with customers getting the chance to order merchandise at discounts of between 10% and 20% regularly. These kinds of coupons can be found all over the web and social media, too. •	The Super Deals section of the site is where you’ll find the biggest savings opportunities, but these deals are very time sensitive in nature. 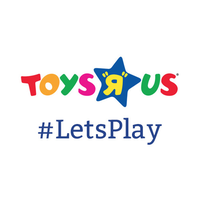 Parents that are interested in getting their children all of the newest toys and games can visit Toys R Us to find the items that they're interested in. On their website you can use the search bar to find specific products or you can just take a look at their general product categories. They also have lists of gifts that are perfect for both boys and girls when you take advantage of their gift finder. Shoppers that want to see the items in person before they buy them online can find a store location in their immediate area with the help of the store locator. For most up to date offers check out Toys R Us on Facebook and Twitter or contact Toys R Us Support for any questions.